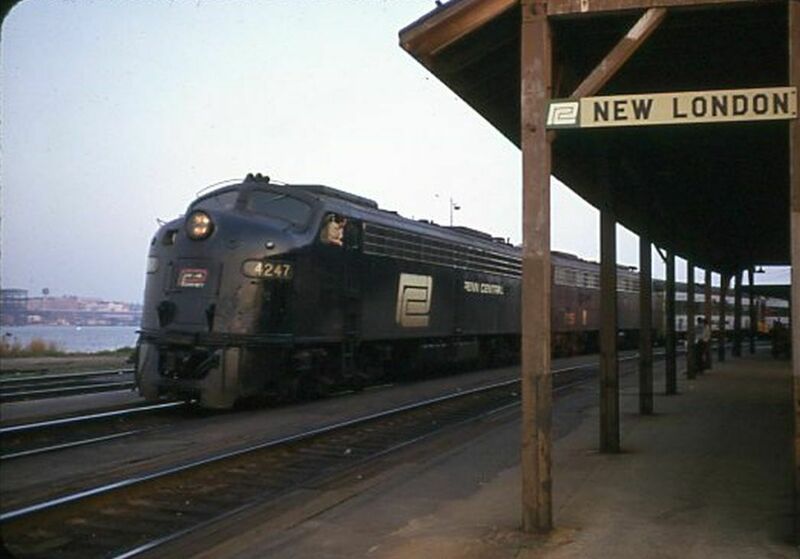 Ex-PRR E-8s head up the Merchants Limited on its eastward trek to Boston. Engine crew member looks back for the highball from the conductor. Photographed by Ron DeFilippo, May, 1970. Added to the photo archive by Ron DeFilippo, February 10, 2019.